It's probably clear by now that we love our location! It's nice to know you can take a break to walk along the creek, catch some fish or build a fire just a few steps away. 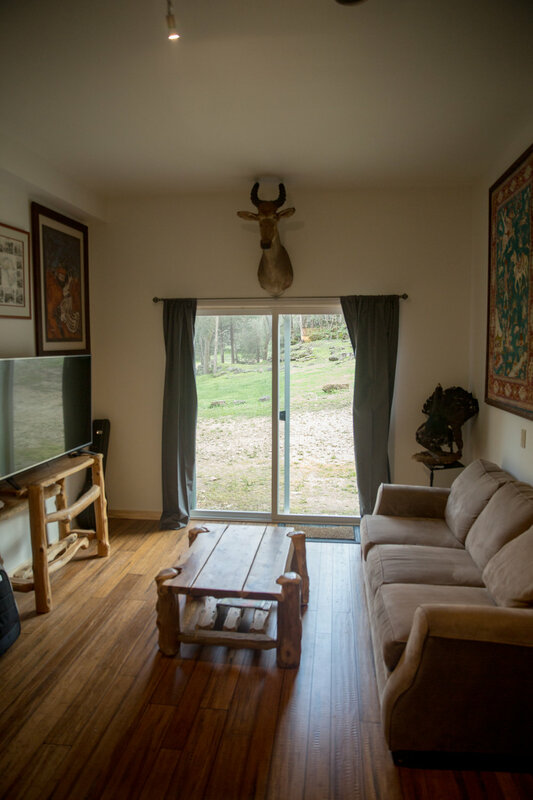 Aside from the benefits of the surroundings, the heart of the studio is inside our 500 square foot live room with 10 foot ceilings. It's acoustically treated to provide an even frequency balance through absorption while still maintaining a large and open feel. 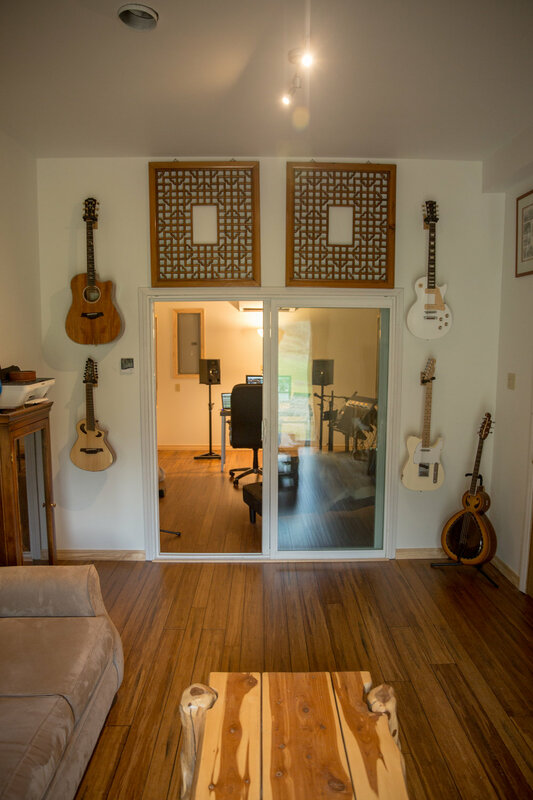 Depending on where you stand or place an instrument, everyone finds it quite versatile compared to a lot of other studio rooms that have a tendency to make you feel a bit claustrophobic. We also have a lot of great instrument choices in house, including a 6'1" Kawai grand piano. Everything is tracked with ProTools through Universal Audio's Apollo platform. We've got some great microphone choices from companies like Shure, Royer, Blue, AEA and depending on your project, we can go for a more polished modern pop sound all the way back to the 1940's with everyone standing around a single old style ribbon microphone. In our opinion it all starts with the artist and the room, so all we need is you!